Commissioned by a lovely couple, a pair of solid 9ct white gold wedding bands. 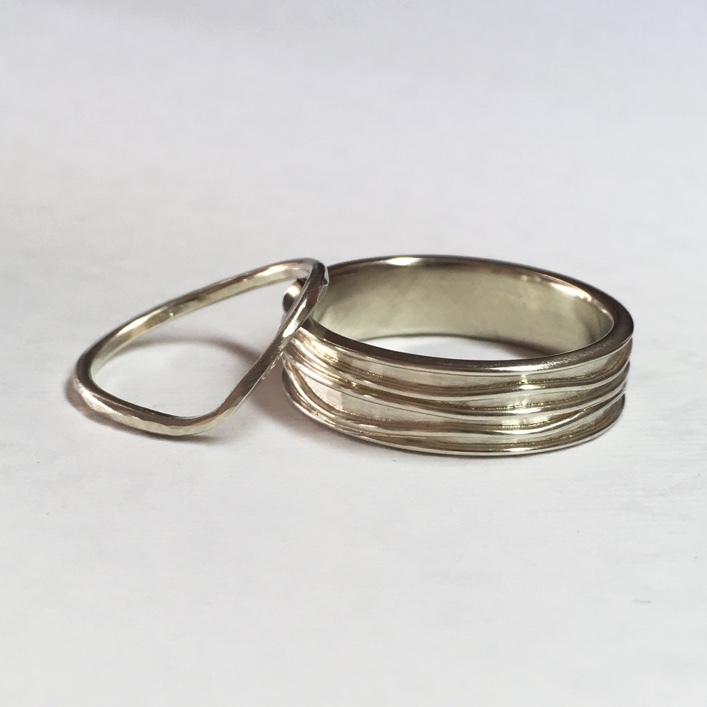 Hers, simple shaped band with hammered texture made to fit around her engagement ring. His, chunky band set with sea inspired waves. Price guide, hers £££, his ££££ (for more information about our price guide, visit How to do Bespoke).